Isn’t this little Minion Pincushion cute? He is an example of me being derailed. Does that ever happen to you? Needless to say the project list is long. But sometimes you just have to stop and do something fun or silly. This Minion is my prototype 1. I am working out a method to create my Minions from my die cuts and of course felted wool. Special thanks to my friend Evie for her inspiration and her Farmers Wife block for display. 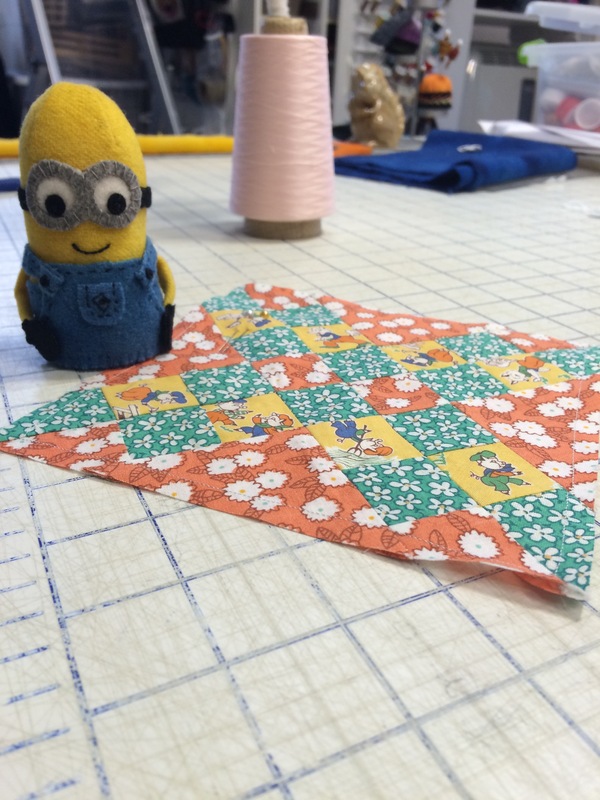 Put Free Minion Pincushion in your search engine and patterns by others are sure to come up. Happy Stitching!